Crochet squares from strips of torn fabrics, in your choice of colors, to make this attractive bathroom rug. It is a great way to use discounted yardage that may not be appealing in its whole state. 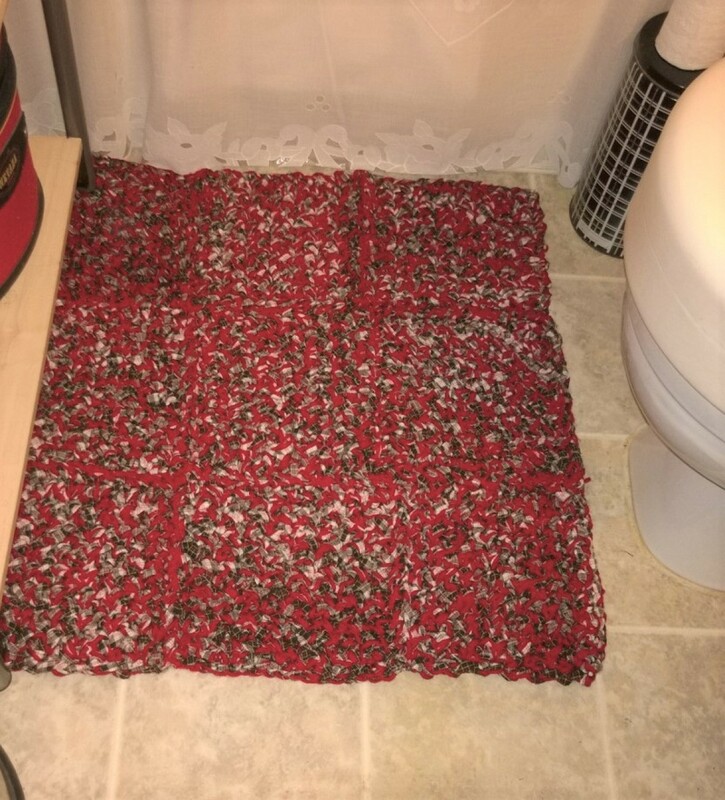 Learn how to make a crocheted bathroom rug to match your decor. I purchased some black and white and red fabric. I loved how the stripes were perfect for cutting and ripping for crafts. This one was for a bathroom rug I have been wanting to make. To start each 1/2" strip, cut down from the edge about 2" and rip all the way. 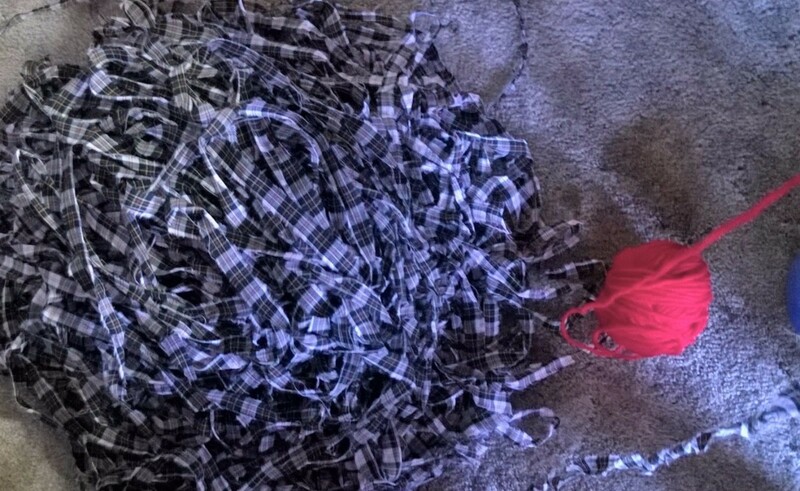 I used fabric that was 24' long so the longer your fabric strips the less you have to join them. I use Stitch Witchery and an iron so it's tedious and you want the strips to be longer rather than shorter. With your size N hook and your fabric and yarn together, chain 18. Make a single crochet in the first chain, then skip one and chain one, and make a single in the next one. This is known at the linen stitch. 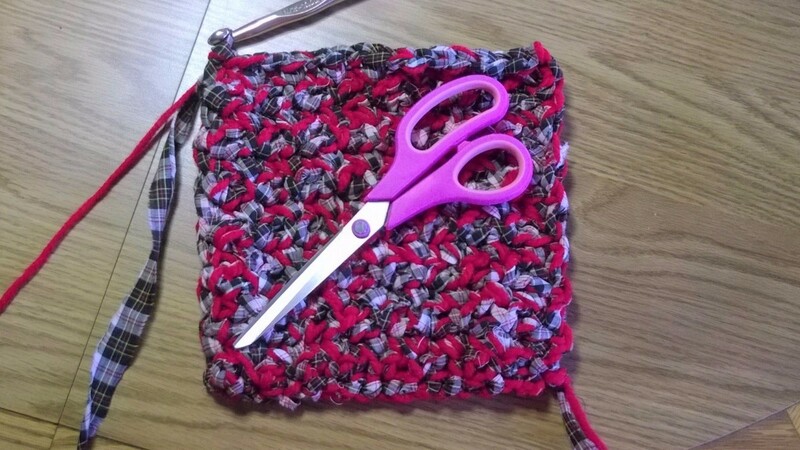 Make 14 rows for a square and leave a 3" tail. Sew them together as you would any granny. Work in the tails and you are ready to lay it down. NOTE: If you are wondering why I didn't just do one long piece, it was because I was not sure if I had enough fabric to make it the size I wanted. 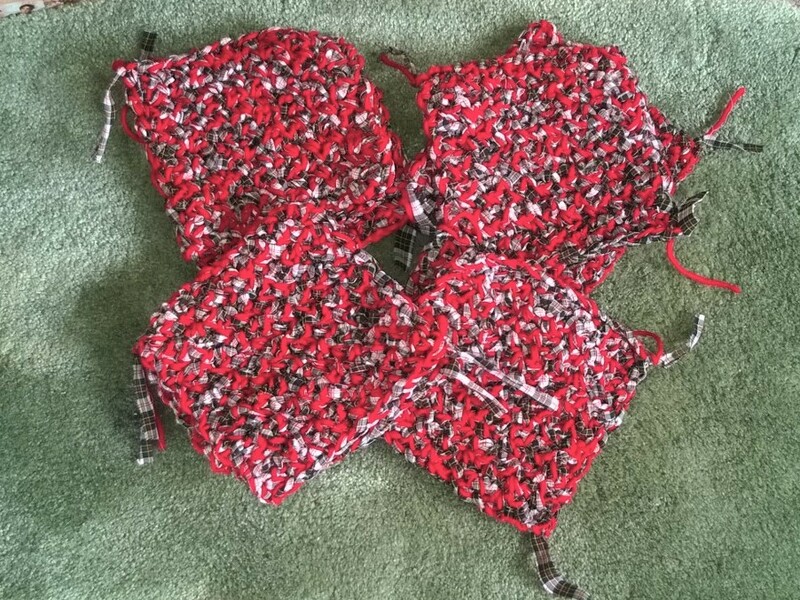 By doing the squares, you can change to another fabric if you need to and do five of one and four of the other. As it turns out, I had enough and more but I would not have wanted to start over should it had not been enough. N-JOY! !